SAP has added some new capabilities to SAP Vora, its in-memory distributed computing system based on Apache Spark and Hadoop. Version 1.3 of Vora includes a number of new distributed, in-memory data-processing engines, including ones for time-series data, graph data and schema-less JSON data, that accelerate complex processing. Common uses for the graph engine might be analyzing social graphs or supply chain graphs, said Ken Tsai, SAP's head of product marketing for database and data management. One application that would benefit from the new time-series engine is looking for patterns of electricity consumption in smart metering data. "You can certainly do it without the time-series engine, but it's not as efficient," Tsai said. 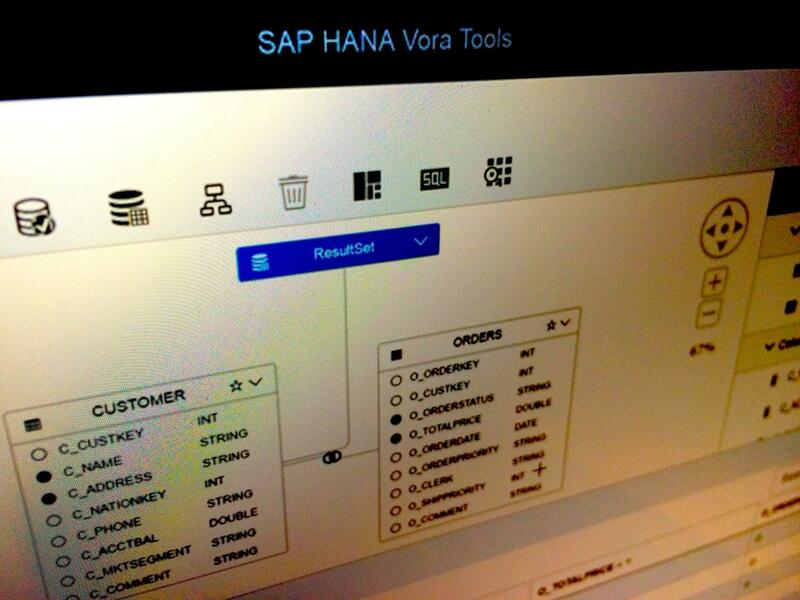 SAP quietly released Vora 1.3 in late December, but chose to announce the new features Wednesday at Strata + Hadoop World 2017 in San Jose, Tsai said. The product, previously known as SAP HANA Vora, has been renamed to avoid confusion with the company's HANA in-memory computing platform, which is not needed in order to run it. Vora is licensed in three editions: Standard and Enterprise, which are charged for per node, and Developer, which is free but cannot be used in production. The Enterprise edition additionally allows deep integration with HANA for companies that need it. Although Vora can run on any Hadoop installation and integrate with cloud storage such as Amazon Web Services' S3, SAP plans to offer a version hosted in its own cloud from early April, Tsai said. Customers will be able to run it on SAP Cloud Platform Big Data Services (formerly known as Altiscale) in data centers in the U.S. and Germany. Other new features include support for currency conversions and a range of free industry-specific add-ons such as a customer retention tool for telecommunications operators. SAP unveiled the first version of Vora in September 2015, and by December last year had signed up 65 to 70 paying customers, Tsai said. "One of the metrics we track internally is the conversion from free to paid, and we are seeing significant conversion compared to other products," he said. A small implementation of Vora would involve between three and 10 nodes, Tsai said. "What's been surprising to me is, for a lot of customers, this is already enough. They can deal with a lot of data with that," he said.